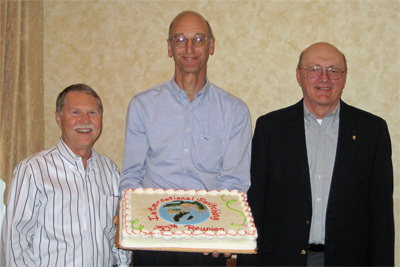 This page contains two slideshows celebrating the 30th Reunion of International Switching at Bell Labs, attended by 51 people. 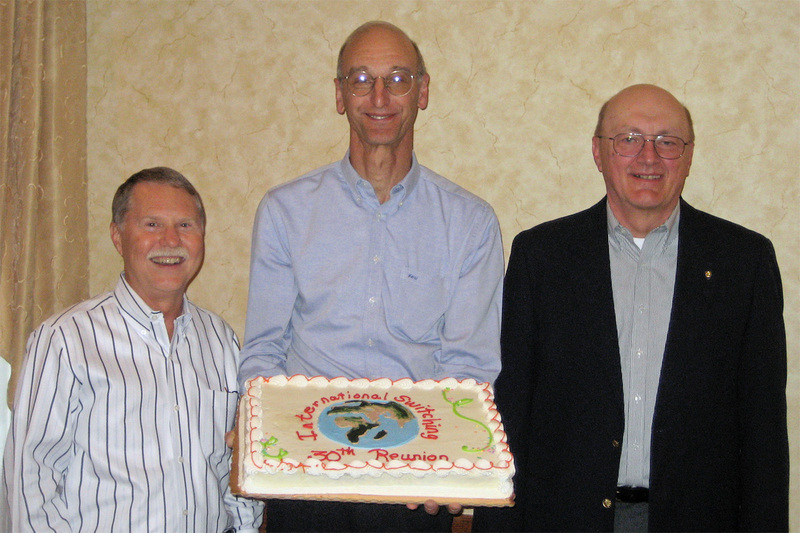 The reunion, hosted by Founding Managers Don Parrish, Jim Weichel and Bob Estvander, was held on September 16, 2007. The slideshows may take several minutes to load. When the background changes to black it is ready to play, click on the small arrow on the bottom left side of the slideshow to start. If desired, click to pause or resume. Slideshows are in separate windows -- scroll down. The first show (9.6mbs) contains 148 historical photos. It is set to play at 3 seconds per photo (total of 10 minutes). A fancier iPhoto version with dynamic panning and zooming set to music was presented at the reunion. The second slide show (26Mbs) contains 65 photos taken at the reunion. It is set to play at 3 seconds per photo (total of 4 minutes). It has better video quality than the first video and looks OK shown at full screen size. Use controls to expand the display size.